We wish to introduce ourselves as a four generation old Trading House with footsteps in the global markets representing various large international houses from the U.S.A, the U.K., Europe and Japan; also BIR Gold Members along with MRAI and ISRI. Our Steel Trading, Warehousing, and Project Supplies run practically into the Who’s Who of the large corporate leaders and multinationals within and outside India. Besides Stock Holding, Warehousing and Supply Chain Management in Complete Steel Supply, we also trade Imports, Indent various Steel Making materials ranging in Iron Ore, Iron Pallets, DRI, HBI, Ferro Chrome, Coal Scrap viz both alloy and MS Scrap like HMS, Shredded, Bundles, P and S, etc. both in bulk and container basis with in-house logistic management including CP for bulk vessels chartering and cross financial arrangements for credit supply both for Steel making and Steel plants. The company is also involved in clean energy development by supplying power through owning windmills.We are in complete steel supply chain management from Raw materials to finished steel. 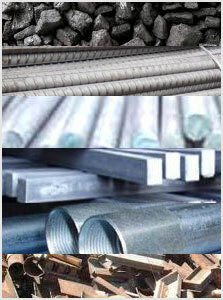 We are also providing cross financial arrangements for credit supply both for Steel making & Steel plants. Quality: We are an ISO Certified company and we take full consideration in keeping the quality standards in the complete process. We believe in quality service which is only possible with quality product. Whatever we have achieved it is with our sincere efforts satisfying our clients at all levels of our dealings. We look forward for new opportunity & new markets all over the world. Copyright © 2013 ispatexports.com All rights reserved.